When Zach sees his friend Sonya being bullied at school, he doesn't know what to do. The kids who are being mean are popular—it's scary to think about getting involved. After talking with his brother and remembering what his teacher taught the class about bullying prevention, Zach creates the stand-up-to-bullying STAR: speak up by talking to the people being bullied, take off by helping them leave the area, ask questions about how they are feeling and actively listen to the answers, report what happened to an adult as soon as you can. The next day when Zach stands up for Sonya, he realizes it feels great to be an upstander. 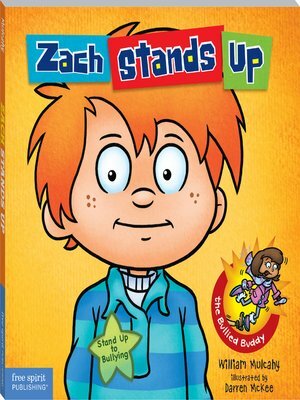 Zach struggles with social issues like getting along, handling frustrations, making mistakes, and other everyday problems typical of young kids. Each book in the Zach Rules series presents a single, simple storyline involving one such problem. As each story develops, Zach and readers learn straightforward tools for coping with their struggles and building stronger relationships now and in the future.